Many ageing pet owners swear that their animal buddies help them better cope with the physical and mental issues that come with age. Richard McIntosh hadn't had any pets since his childhood farm dogs, but then he started a relationship with a competitive dog trainer and found his life filled with Golden Retrievers. Now McIntosh, 59, of Cornelius, Oregon, can't imagine growing old without a dog or two by his side. "There was a little something missing from my life," McIntosh said. "These dogs give me activity; they give me joy, companionship. When I'm not feeling good, they're there for me. When I am feeling great, we're playing and running. I get a lot out of it." According to a new poll, McIntosh is one of many ageing pet owners who swear that their animal buddies help them better cope with the physical and mental issues that come with age. About 55% of US adults aged 50 to 80 have a pet, and an overwhelming majority of them say that their pets bring a host of positive benefits to their lives, the new National Poll on Healthy Aging found. "Most people who have pets perceive that they are beneficial to their physical and emotional health," said Mary Janevic. She is an assistant research scientist with the University of Michigan School of Public Health, who helped design the poll. It's long been shown that loneliness can strongly detract from healthy ageing, and pets are a way to combat that, explained Dr Alice Pomidor, a professor of geriatrics with the Florida State University College of Medicine. "Loneliness in and of itself is a hazard to your health," Pomidor said. "People have greater rates of chronic disease and an earlier likelihood of illness or death." Pets also help people with the physical aspects of ageing, the poll results showed. About 64% of all pet owners said their companions help them stay physically active, and that leaps to 78% for dog owners. "The data on physical activity is very solid in terms of, just having any form of physical activity is far better than having no physical activity," Pomidor said. "It lengthens life span and increases your active life." 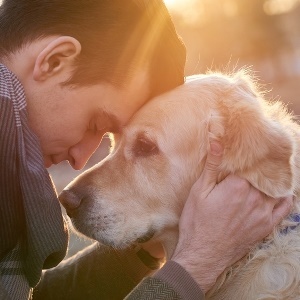 Around six out of 10 people said their pets help them cope with the physical and emotional symptoms of ageing, and 34% said their pets take their mind off their pain. However, pets aren't for all seniors. About 42% without pets said they didn't want to be tied down by the responsibility of owning an animal, 23% said it would cost too much and 20% said they didn't have the time. One in six said they had allergies that prevent pet ownership, the findings showed. Janevic said, "About a third of the people who didn't have pets mentioned reasons for not having pets that were external to them." Having a pet isn't easy, the poll's pet owners said. More than half said pets make it tough to get out of the house or travel, and one in five said pet care puts a strain on their budget. Worryingly, about 6% reported that their pets caused them to fall or injure themselves. "The vast majority of our respondents did experience positive effects on their health and well-being from their pets, but we did verify there are some less common negative effects associated with having pets as well," Janevic said. McIntosh said he believes training your dog is crucial to enjoying them fully. "If they're a well-trained companion that you can communicate with easily, then you're not going to be stumbling over them or having them run off," McIntosh said. "These are well-trained dogs, and that makes them way more joyful, at least for me." The poll results are based on responses from a nationally representative sample of 2 051 adults, aged 50 to 80. The poll was conducted by the University of Michigan's Institute for Healthcare Policy and Innovation, and sponsored by the AARP and Michigan Medicine, the University of Michigan's academic medical centre.